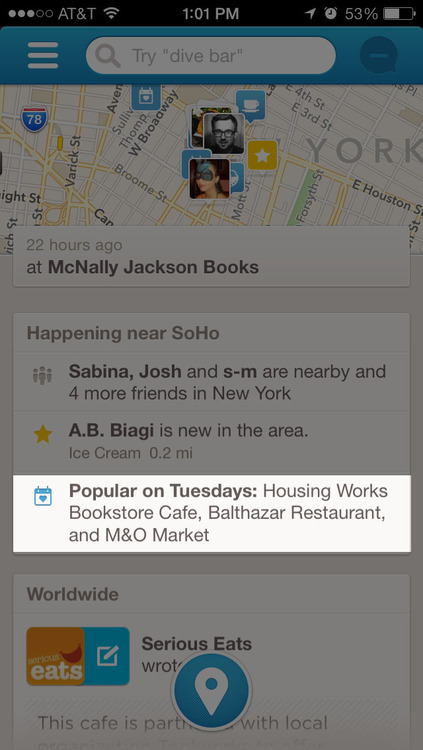 Foursquare Now Tells You Where The Action is on Any Day of the Week. Foursquare continues to focus on the little details. Now tells you where the action is on any given day of the week. Keep it coming Foursquare! I’m still waiting for a simple list of the best things to eat at a restaurant. Shouldn’t be too hard to pull off right?